G.L. Giddings Discusses DMR – Dreams Made Real Inc. I have always been a fan of many kinds of music, and feel that it is the one tool that we have to gain mutual enjoyment and acts as the universal language to the world. I’m the Director of Human Resources and Public Relations as well a minority owner of a unique entertainment and music company named Dreams Made Real Inc. located in Atlanta, Georgia. 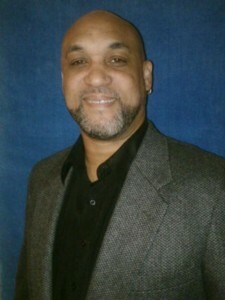 DMR Inc. is run by a board of directors led by CEO Marcus A. Davis, who is also a recording artist and author. This company is the only one in the U.S. that allows artists to display their works in every genre of music around the world. We also have writers, producers, graphic artists, and poets in our growing stable of entertainers. DMR Inc. has many artists worldwide who are creating positive music, videos, books, and other inspirational media. If you are looking to grow your music or writing career, you need to take a look at what we’re doing to bring life-changing entertainment to the masses. Feel free to visit us on our website below, listen to the music, watch the videos, and read the great blog posts about what’s going on with Dreams Made Real Inc. in the entertainment industry. If you have any questions about our company or would like to find out how to become a part of our entertainment family, contact me at the email address below. Next Next post: Get Featured in Our Upcoming Documentary!